First and foremost we strive to create a camp environment where your child can grow in their relationship with Jesus Christ. High-energy and non-stop action will fill each day as your child develops new friendships in a caring and safe camp environment. Come join the fun! This is a mission opportunity for elementary students. This camp will be held at The Refuge with two options: Day & Overnight! During this Day camp experience, students will learn how to see the need in others and respond with the love of Christ. Camp will begin at 9:00am and end at 4:30pm. For those attending overnight camp, students will have adventures that will create lifetime memories! Campers should sign up with their youth group. Creation Discovery week will focus its activity times on fresh water and forest eco-systems. Each of these camps will also include swimming, canoeing, fishing, fun games, devotion times, and praise & worship. During this week, we are offering an overnight experience for students 3rd grade or higher. The Refuge is partnering with the Fellowship of Christian Athletes (FCA) to bring an action packed week of day camp for students (Rising 1st to Completed 5th). Their week will be filled with sports clinics, drills, devotion and small group time. We are extremely excited about this new tradition at The Refuge. A spin off of the traditonal week of ETL, campers will be assigned to a group and experience a great week of missions, worship, and fellowship with other groups. 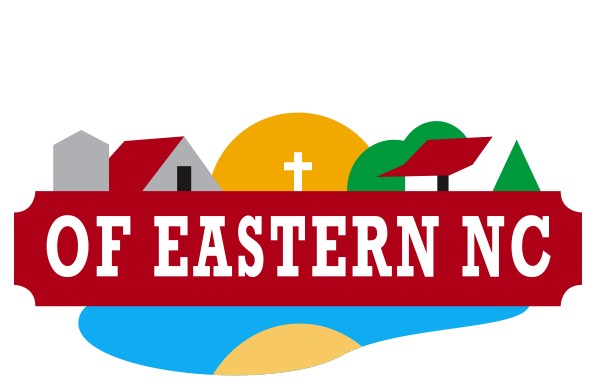 Lodging will take place at The Refuge and our mission focus will be on several of the small towns that surround the camp. This week will focus on work projects and building relationships in Hookerton & Grifton. Space is limited to 60! Sign up for this week of camp as an individual or a group. This summer we have a unique opportunity for campers to experience God’s love at the Refuge. Our Autism week is a camp favorite offering the opportunity for children with special needs to experience life at camp. They will canoe, fish, explore the forest, make crafts and experience camp at a pace that is appropriate for them. We are extremely excited about this new tradition at The Refuge. A spin off of the traditonal week of ETL, campers will be assigned to a group and experience a great week of missions, worship, and fellowship with other groups. Lodging will take place at The Refuge and our mission focus will be on several of the small towns that surround the camp. This week will focus on work projects and building relationships in Walstonburg & Farmville. Space is limited to 60! Sign up for this week of camp as an individual or a group. My kids had an amazing experience here and wished they could go every weekend! This is a hidden gem, full of treasures that will last for eternity! The staff are very friendly and qualified! The Refuge is an amazing place for all ages and teams! Our church just completed day 1 of camp at The Refuge and it is awesome! The staff is wonderful, the setting is gorgeous and the kids had a blast. The staff kept them busy, moving and entertained all day. They make the Word come alive and present it in ways that make it fun for the kids and easy to understand. Very well organized and thoughtfully planned! The Refuge is beautiful in a very peaceful and serene setting. But more than that, the staff there go above and beyond to make your stay comfortable and to make sure you have everything that you need. Great option for any type of meeting, retreat or event! Great place to visit for church, family, or work-related activities, team building, and most importantly spiritual involvement. The staff there are great people and helpful. I highly recommend!